Bollywoob filmmaker Yash Chopra had celebrated his 80th birthday on September 27. ‘Jab Tak Hai Jaan’, starring Shah Rukh Khan was his final film as director. Regarded as the country’s king of celluloid romance, Chopra has also proved his mettle with intensely emotional and tragic movies, many of which went on to become box-office blockbusters. 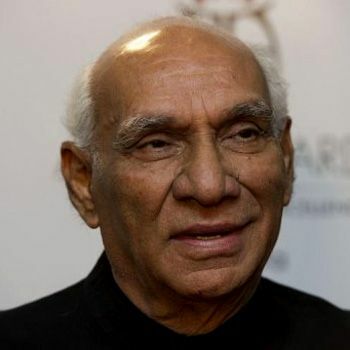 Yash Chopra had been admitted to a hospital in Mumbai with an attack of dengue, a spokesperson for his company said. He had been suffering from complications of dengue for a long time. He suffered from multi organ failure, because of which he died,” a hospital source said. Chopra’s career has spanned over five decades and over 50 films.He is considered among one of the greatest filmmakers in the history of Hindi cinema. Chopra has won several film awards, including six National Film Awards and eleven Filmfare awards including four Filmfare Award for Best Director. Yash Chopra lived a truly grand life touching all those he touched. It is a great loss not only to India but to the entire global film fraternity. His death is a void which will be difficult to fill. May his soul rest in peace. Selena Gomez: Does This Mean That Perfect Olive Skin Isn’t Natural?